On 20 September the University of Groningen, European Capital of Culture project Lân fan Taal and regional broadcasting company Omrop Fryslân launched an app that can detect where the Frisian user is from. The app analyses whether the pronunciation of the voice commands fits Klaaifrysk, Stadsfries, Stellingwerfs or one of the many other varieties of the Frisian language. The app was developed by the UG team of researchers Stimmen fan Fryslân [Voices of Fryslân] and will provide us with a wealth of linguistic information, bringing Frisian voice control one step closer. Stimmen fan Fryslân is a good example of Citizen Science: everyone can make a valuable contribution using a smartphone or tablet or via the Stimmen website. The app can now be downloaded for free via iTunes and Google Play. On 20 September students of Dockingacollege in Dokkum were the first to try the app. This school year Hilton and her colleagues will visit all secondary schools in Fryslân to present an educational programme on linguistics and multilingualism and to collect as much speech data as possible. Omrop Fryslân is joining in and focuses on the app and linguistics throughout the week. 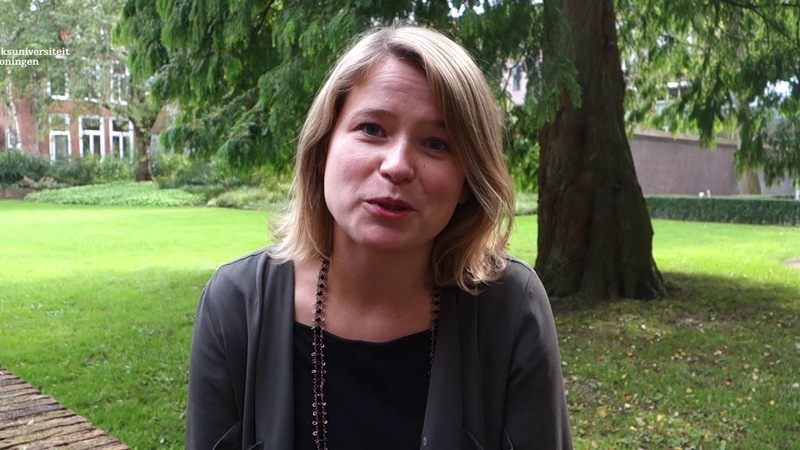 The speech app is just one of the ways in which Hilton wants to involve Frisians in her research. ‘We aim to use the app to collect as much data as possible about the Frisian language and its distribution, and then study this data. In the future we could also use the data to develop speech recognition apps, like Siri, for the languages and dialects that are spoken in the Northern Netherlands. Anyone can contribute to the research project. The results will be presented in the course of 2018, when Leeuwarden and Fryslân figure as European Capital of Culture, at Lân fan Taal at the Oldehoveplein in Leeuwarden and other venues. Fryslân is an ideal testing ground for linguists. With a wide variety of languages and dialects, it is the most ‘linguistic’ province of the Netherlands. At this moment the accent recognition only works for Frisian, but Hilton emphasizes that the app is certainly not meant for Frisians or the Frisian language only: ‘People can contribute to it in any language: Lower Saxon dialects, mixed dialects or migrant languages. This way we are creating a rich source of information about language use that my fellow linguists and I at the Faculty of Arts can study.